The wine has a rich history, so today there are so many true connoisseurs of this wine beverage. However, in the stores more often come across poor-quality goods. So everyone wants to know, how to distinguish fake wine from the real. After all, having such knowledge, you can avoid unnecessary expenses. Today in any liquor store you can run into huge amount of goods. Each bottle has its own features and price tags. So, task, how to distinguish fake wine becomes even more difficult. Craftsmen learned to create a marriage as similar as possible with quality products. The addition of various food additives and the use of beautiful packaging. People, with no relevant knowledge, at first glance does not recognize the marriage, as a result of the acquisition of a bad drink. In modern society created a huge number of chemical products, help to brighten up the marriage: dyes, thickeners, flavors. Choose the alcohol every year becomes more and more difficult. It is important to know, the natural process of wine making requires not only appropriate knowledge and skills, but time. Fermentation and maturation do not occur quickly, so, to accelerate its impossible. However, most of the factories are not able to wait for years, therefore resort to use completely different cooking methods. First of all, special attention should be paid to the absence of impurities and sediment, then to see the texture of the liquid. Color and taste, rather questionable characteristics, rely on them not worth it. Especially if we are talking about good fakes. An important indicator is the smell. Mix up a fragrant bouquet with a chemical smell it is simply impossible. You do not even need to be a sophisticated taster. However, to check the item at the time of purchase is simply impossible. The reason for all the careful packing, not allowing you to experience the flavor. So, going for the bottle in the nearest store, it will have to rely on other indicators. The most important to pay attention to the smallest details, the only way we are able to purchase decent products. Buy in trusted stores. A good supermarket is interested in positive feedback, the purchase of a marriage for him can be a gray spot in reputation. To prevent this store buys alcohol from reliable suppliers, make sure you have the necessary documentation. Pay attention to the bottle. Noble wine does not require protection from the sun, so, the dark packaging is a suspicious signal. The same goes for cans or cardboard package. To buy a similar product cannot, otherwise the risk of running into a surrogate too increases. Too fine Tara. A cunning deliberately bottled poor-quality wine, in beautiful containers, creating the illusion of luxury. However, the risk of, what a beautiful Tara is hiding another fake, shouldn't be. A weighty argument to leave the product on the shelf will be the presence of the rubber or plastic plugs. Good, quality wine must "breathe", so, to dispense with the usual plug does not work. Seeing a different way of blockage, better to pass. Label. To obtain the necessary information on the contents of the bottle you need to carefully study its label. 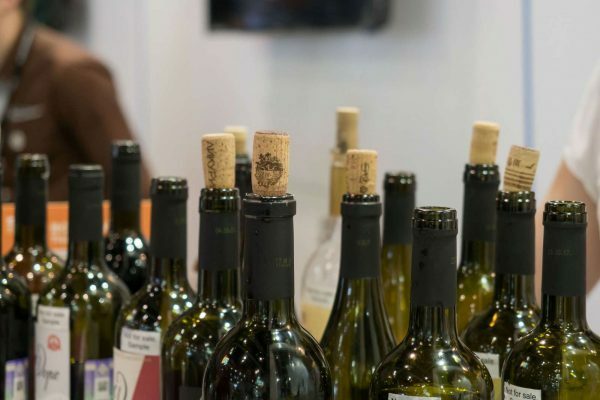 It should contain this with regards to the country of origin, company, varieties of grapes used, the percentage of alcohol and sugar. Everything should be clear and understandable. The presence of the bottling date. Most spirits can be stored for years, but they must contain the information on the timing of the spill products. The date should be placed in a conspicuous place, to be clear and smooth. The mandatory presence of excise stamps. Of course, such products have a corresponding price, but proven quality. The liquid should not have sludge. All present, on the bottle labels should be bright, clear. Visually inspect the bottle it should not be chipping, cracks and stains from glue. Flip the bottle, shake. On the surface to form the foam. On quality product it disappears after a few seconds, and more like a cluster of bubbles, not a thick foam. Good wine has a red color, but it should not be too dark. If the fluid is barely visible on the light, we can safely say the presence of dye. The wine has less fluidity than water. Turning the bottle, the liquid should not instantly flock. Needs to be seen stick surface. Each of these ways can easily be done right in the store. After checking visual of product compliance, you can safely buy it. Next is quality assurance in the home. 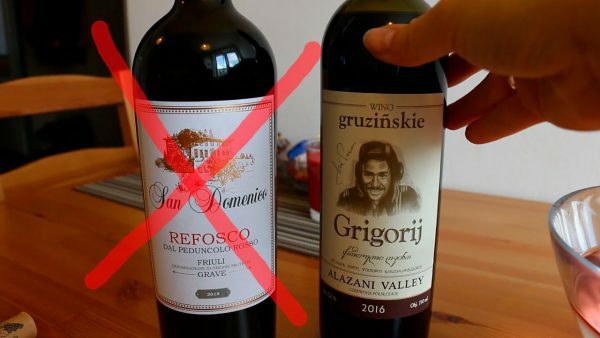 Of course, after decanting the money back will not happen, but there is a chance to avoid poisoning. After all, to spoil the party so not the best end of the event. The tube should not have a repulsive smell. After occupancy it is obliged to maintain the original appearance, will not crumble. Often this happens because of violations of rules of storage of the beverage. To use such a dangerous product. To check the quality will help ordinary drugstore glycerin. It is necessary to pour a small amount of alcohol in transparent dishes, then drop back a little glycerin. If he changes the light, so, we are talking about chemical additives. The presence of the repulsive smell suggests the presence of ethyl alcohol with water, but this combination is definitely not an indicator of quality. Finally wanting to make sure, is to carry out the final test-the test. It's enough to stock up on soda. Its a small amount, reacts with water, creates effervescent composition. However, with a quality wine like this will not happen. The reason is the presence of acids, neutralizing soda. Poor quality beverage is sure to create a sparkling effect. Strong argument quality is the price. Really high-quality product can have a corresponding price tag. Therefore, buying cheap bottles, you should think in advance about their content. What alcohol to drink in China? What drugs will help you to give up beer? 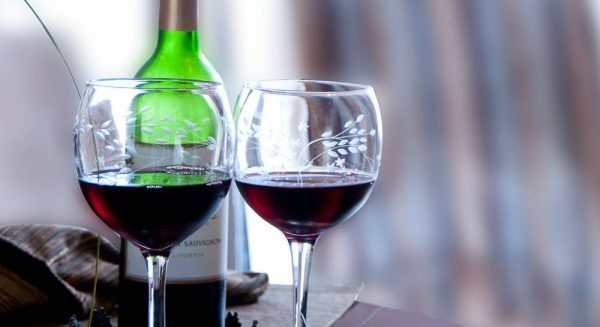 How to stop drinking wine every day? Stopping any addiction to alcohol, cigarette tobacco or drugs — we are for the life of a man without bad habits! About all of our articles. 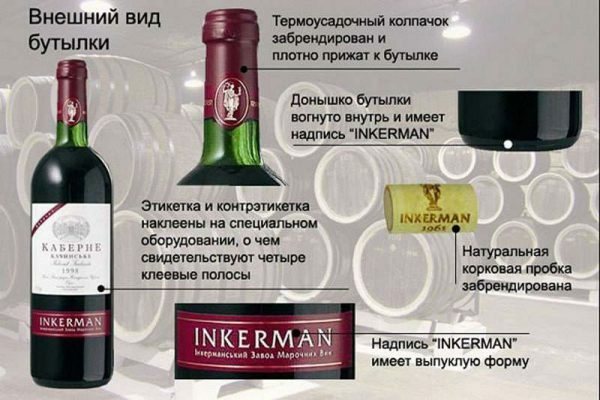 The copy page 1 in 1 partial copying of this recording: “How to distinguish fake wine alone” banned. All rights reserved. © 2014 - 2019 year.